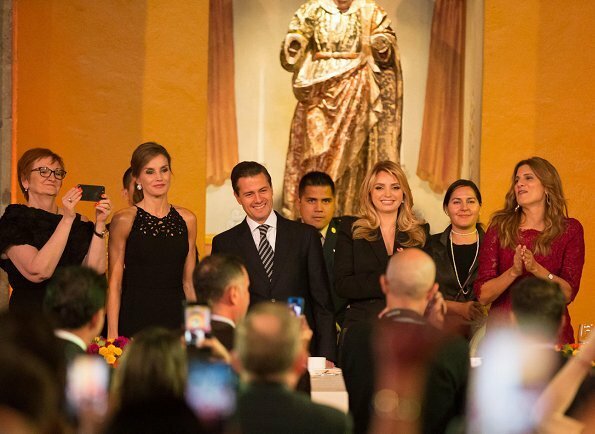 Queen Letizia of Spain attended a meeting and gala dinner with Mexico's President Enrique Pena Nieto and his wife Angelica Rivera at the Los Pinos residence in Mexico. 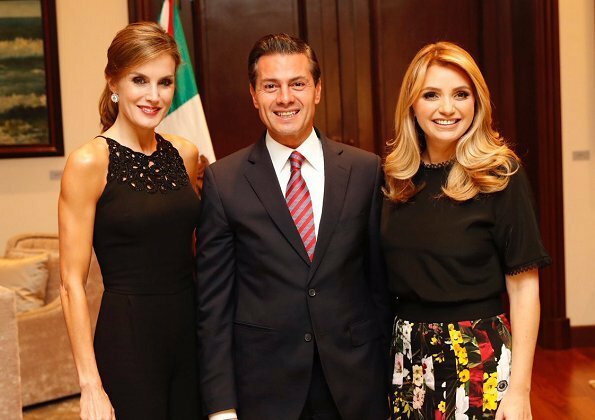 Queen Letizia of Spain is currently in Mexico in order to attend 2017 World Cancer Leaders' Summit (WCLS) held on November 13-15 in Mexico. She has definitely increased her arm workout. Her arms are a lot more defined and muscular than they used to be. She looks good! Nice earrings that are allowed to really be seen with her hair pulled back and the smart pantsuit. Once again a well done outfit. 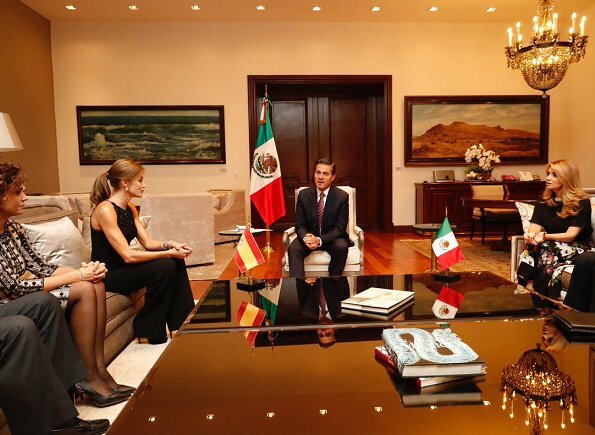 I do not think this outfit fits a queen, even if Letizia has a nice figure. This is a perfect cocktail outfit but with gala jewels. She should have ton the jewels down. The Yanes chandelier and Cartier bracelet would have been more appropriate. Agree. Love the jumpsuit. 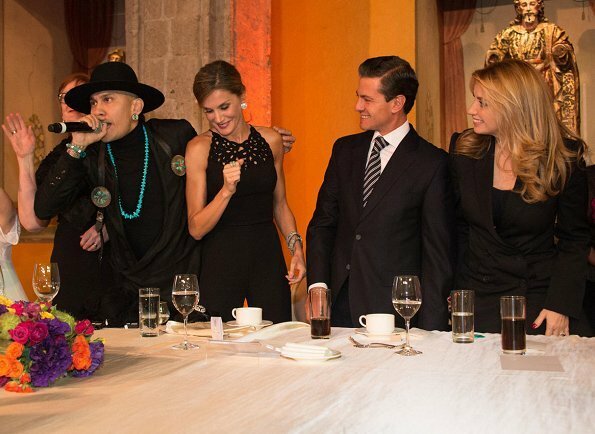 Too much these jewels. Love her look. Very fresh and elegant. 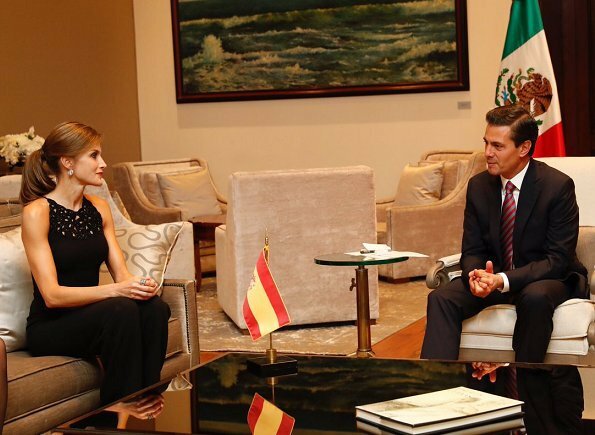 Looks like she spends more time with the weights than with the people of Spain. 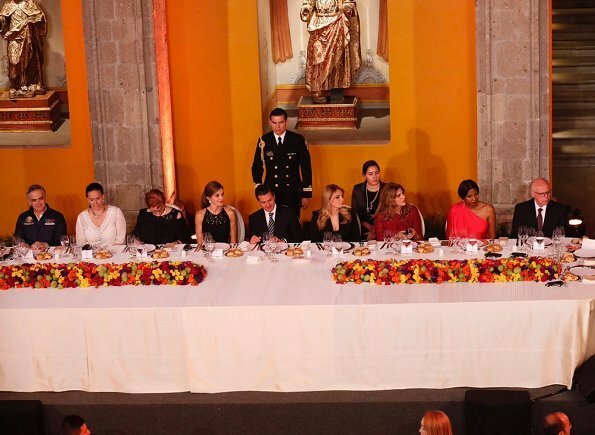 She could take a lesson from Maxima and get out there and do some charities.